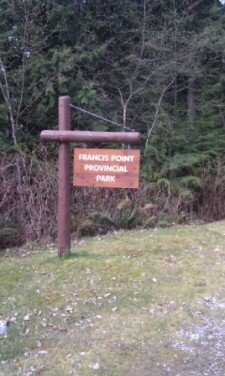 Francis Point is a beautiful Provincial park with beautiful trails along the beach. This is not a long hike (about .5 to 1 hour total max. ), but it is one of the most beautiful. Bikes are not forbidden, but it is pretty much impossible to bike as it is up and down solid rock. Take care on a wet day as the rocks are often smooth and quite slippery. Take Hwy. 101 towards Madeira Park and turn left on Francis Peninsula Rd. 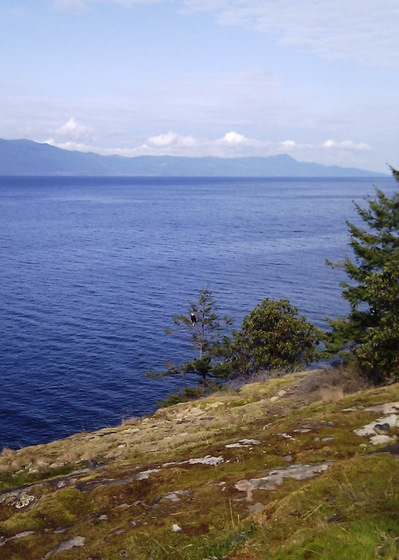 (if you are coming from the Sechelt). Follow the road along for 3 or 4 kms until you reach Merrell Rd. Turn left and follow it to the end where you will drive into a parking area. Walk into the park past the large map and toward the beach. When you get to the sign post the trail splits left and right. The right trail takes you up some stairs to a viewpoint at the top. About a 5 or 10 minute walk. The longer hike is the left trail (maybe 30-40 mins. return). It will take you over a trail that follows the beach. 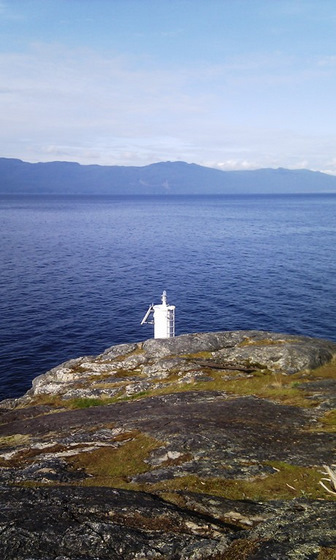 There are some fantastic views out towards Vancouver Island. The beauty here is quite breathtaking. When you get out towards the end of the trail you'll see the small lighthouse on Francis Point. If you keep going just after you see the lighthouse you'll come down to a spectacular Arbutus grove. You can putter about and explore the rocky outcroppings and on a nice day, what better place to have a picnic. Follow the same route back to your car when you're done. Eagles are often spotted in the trees along the trail. 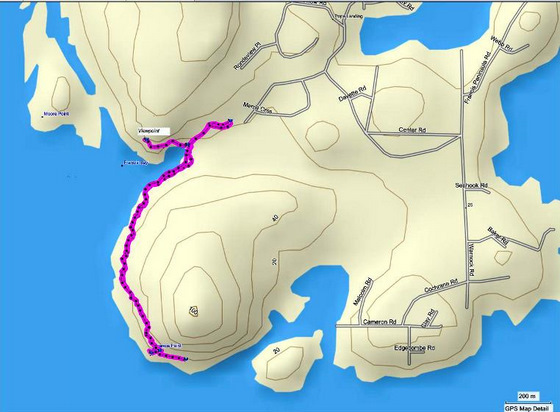 Click here to return from Francis Point to the Bikes & Hikes page. 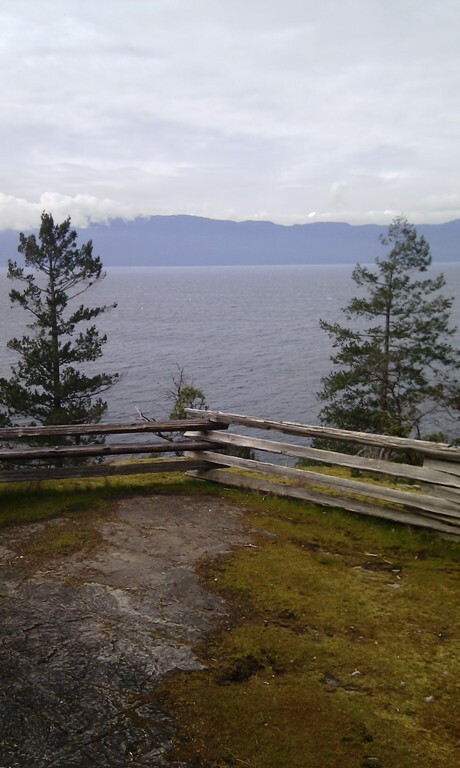 Click here to return from Francis Point to the Sunshine Coast Trails Home Page.